This is a two-bedroom waterfront accommodation that was built in the 1950's. You can’t get closer to the lake without being in it, as this cabin is built over the water. The exterior is half log siding, the interior a light knotty pine with wood floors throughout. As you enter the cabin, the first room on the right is a bedroom with two single beds, the middle room is the smallest and is your combined cooking, dining and sitting area. To the left of the sitting room is the master bedroom with a queen-sized bed; the bathroom has a tiled shower. What the kitchen lacks in space is made up for in the quality. You will find a Wolf two-burner gas cooktop, a microwave oven and an under counter Sub Zero refrigerator (small freezer). It is equipped with a coffeemaker, toaster, pots & pans, along with dishes, wine glasses and utensils for four. There is a charcoal grill outside the cabin. A freestanding gas stove provides radiant heat with the ambiance of a fireplace. 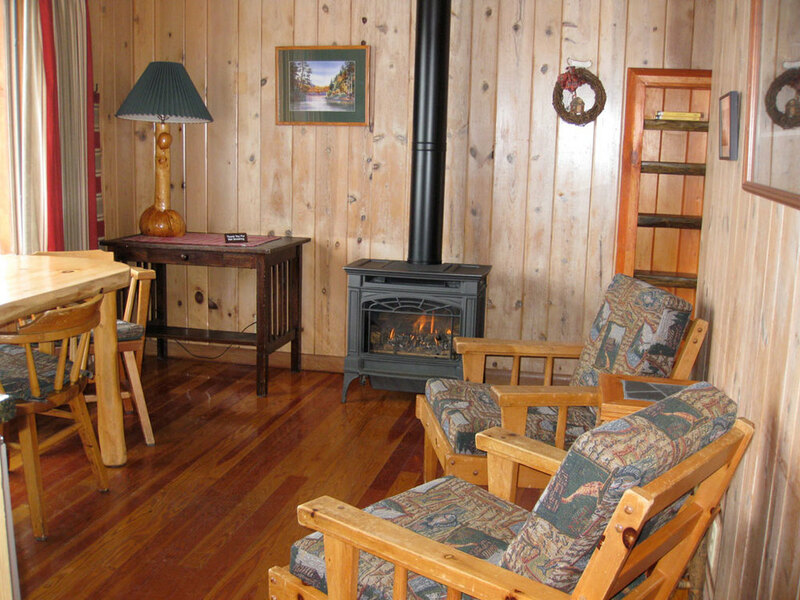 All three rooms offer beautiful views of the lake (great sunrises). 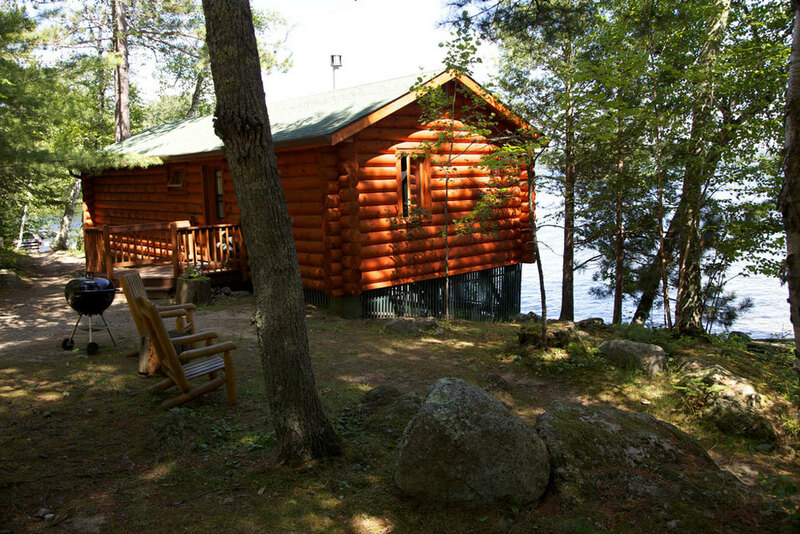 Although this is one of our smaller two-bedroom cabins, it is definitely one of the most popular. Maximum occupancy is four guests. The 2019 rate is $ 2 685.00 per week, or $ 422.00 per day.